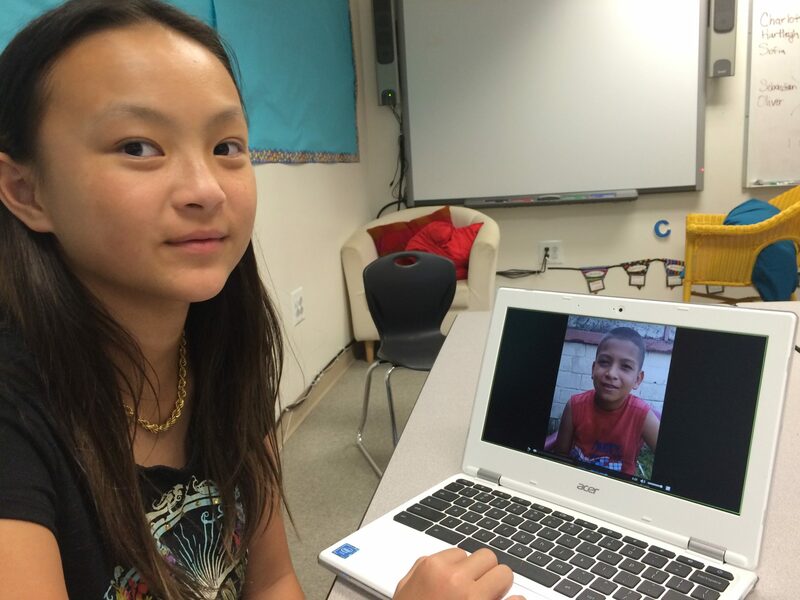 This girl at Princeton Junior School worked one-on-one with a partner student in South America in her Level Up Village Global Inventors course this summer during the school’s Reimagine Summer Curiosity Camp. 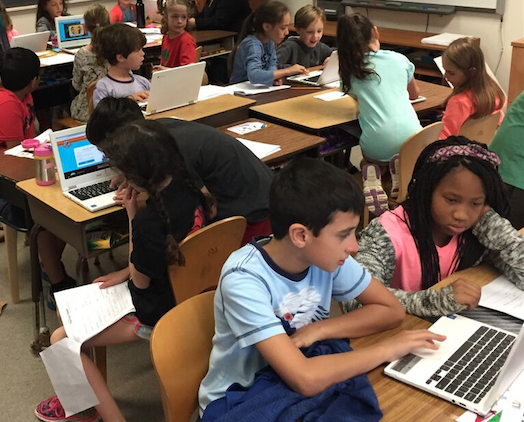 PJS Students collaborated globally on STEAM projects throughout the summer, as well as during the school’s Global STEAM Week this spring. PJS partnered with Level Up Village (LUV) to offer the week-long version of four different LUV courses, including Global Inventors (3D printing), Global Doctors: Anatomy, Global Explorers (indigenous animals + green screen skills) and Global Storybook Engineers (engineering + literacy for K-2). Global STEAM Week took the place of regularly scheduled classes and provided students with the opportunity to not only learn cutting-edge STEAM skills, but also communicate and collaborate with partner students from the barrios of Nicaragua , who took the same courses for free through LUV’s “Take a Class, Give a Class” model. All week long, PJS students worked together with their partners at NicaPhoto by swapping ideas, exchanging project files and sharing what they learned via video message exchange and Skype. Students at PJS participated in several different Global STEAM Week at Princeton Junior School.together with partners at NicaPhoto in Nicaragua. This program replaced regularly scheduled classes and provided a hands-on immersive STEAM experience for students that including cutting-edge technology and global collaboration. These students watch intently as their design emerges from the 3D printer, layer by layer during Global Inventors at Princeton Junior School. Read more about it in this article on NJ.com. In Global Inventors, fifth graders addressed an issue that a daily concern for their partners in Nicaragua: access to reliable electricity. The students’ homes in Nicaragua were only recently wired for electricity and the power often goes out. After learning the basics about electricity and the engineering design cycle, students worked together with their Nicaraguan partners to design and 3D print solar-powered flashlights. “Through their investigation of electricity and invention in a real, global context, PJS students deepened their understanding of electricity and sustainable energy (from a previous IB unit of inquiry) as they explored energy issues through the eyes of their learning partners in Nicaragua,” said Weintraub. 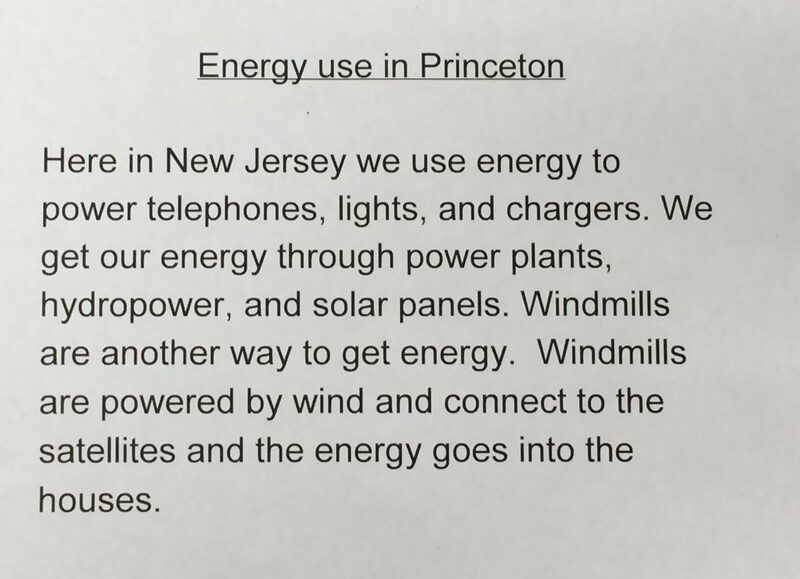 Students wrote this response to a question about energy use and then shared it with their global partners as part of their video message exchange during one of the first lessons of Global Inventors. In Global Explorers, students studied indigenous animals such as wolves and foxes, as well as animals indigenous to Nicaragua – and then put together a green screen presentation to showcase what they learned. “It was very empowering for students to report back about what they learned and see the finished, green screen video. It helped tie together all that they had learned over the past few days about indigenous animals in the northeast region of the U.S. and in the western region of Nicaragua,” said Nicki Brill, LUV Teacher and Account Manager. 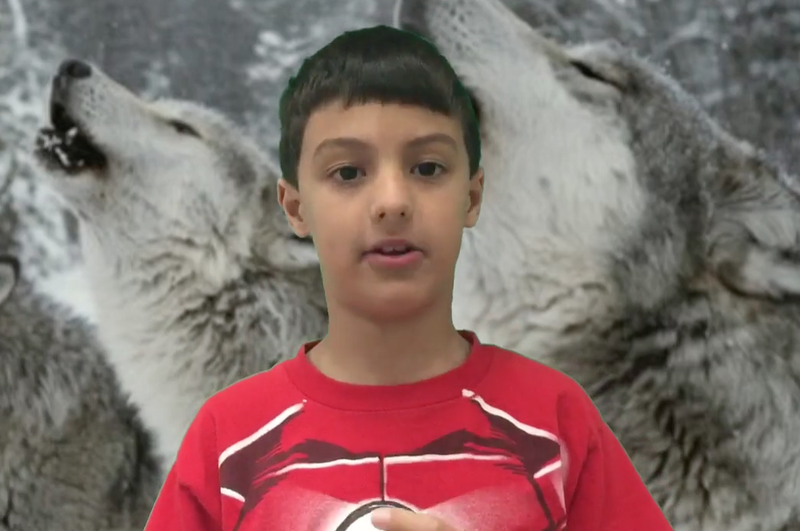 One group of students studied wolves and then shared what they learned by preparing a green screen presentation at the end of Global STEAM Week. Encouraged by the success of this experience, PJS then infused its summer enrichment program with even more STEAM-focused offerings. 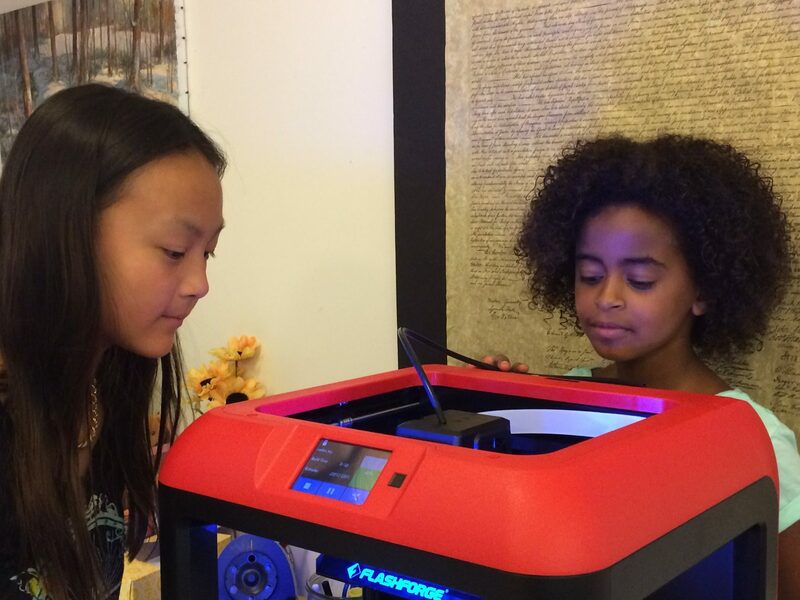 The school offered Global Inventors/3D printing again (this time with partner students in Honduras), as well as several additional Level Up Village courses as part of its Reimagine Summer Curiosity Camp. LUV courses were paired with a selection of other offerings that integrated the arts and nature to create a well-rounded enrichment program. “The combination of our PJS arts and nature programming alongside LUV’s global STEAM projects reinforced the IB mission ‘to develop internationally-minded people who, recognizing their common humanity and shared guardianship of the planet, help to create a better and more peaceful world,’” added Susan. To find out more about how to include Level Up Village courses in your STEAM week or summer enrichment programs, click here.